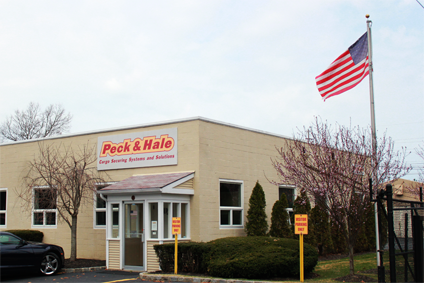 Founded in 1946 by former U.S. Navy Officer Kenneth Peck, Peck & Hale has grown to be a world leader in cargo securing products, systems and solutions. Our full staff of in house product design Engineers combined with our outstanding customer service has proven to be a winning combination. Our quality assurance department ensures that all of our products are tested and inspected to the highest standards and our fully equipped machine shop enables us to provide you with quality parts at an affordable price. With our worldwide distribution network, we have the capabilities to fulfill demand across the globe. Since Peck & Hale’s inception, we have proudly engineered and are often a preferred manufacturer of quality cargo securing products, systems and solutions for all branches of the United States Armed Forces. Our shock mitigated tiedown assemblies as well as our wide array of lashes and deck sockets have become the standard for both the U.S. and international military communities. Our strict quality control procedures coupled with innovative engineering, allows us to meet the most demanding military specifications. Peck & Hale has a long history in the commercial maritime industry. We offer a complete line of twistlocks, turnbuckles and lashing rods, deck sockets, d-rings/straps, and bridge fittings for all of your securing needs. Peck & Hale has outfitted all types of vessels including Container, Bulker, Multi-Purpose, and Ro-Ro ships. Approved by all major class societies our products are a great choice for ship owners and operators worldwide. Peck & Hale provides a full line of quality Inter-Box Connectors (IBC's) for both rail and truck applications. Our patent pending side operated twistlock is used to secure double stacked containers by most railroads in North America. Our shock mitigated tiedown assemblies with integral deck track fittings have been industry tested and approved for the securing all types of cargo and vehicles on both flatcars and over the road transports. Peck & Hale's extensive experience with military aircraft and cargo tiedown systems has made us the go-to source for the commercial airline industry. We manufacture a full line of web straps and wire rope tiedowns with a wide variety of end fittings. We maintain a complete inventory to help support industry demand and provide the world’s airlines with cargo securing equipment they need.